I absolutely love trying out new products and brands. 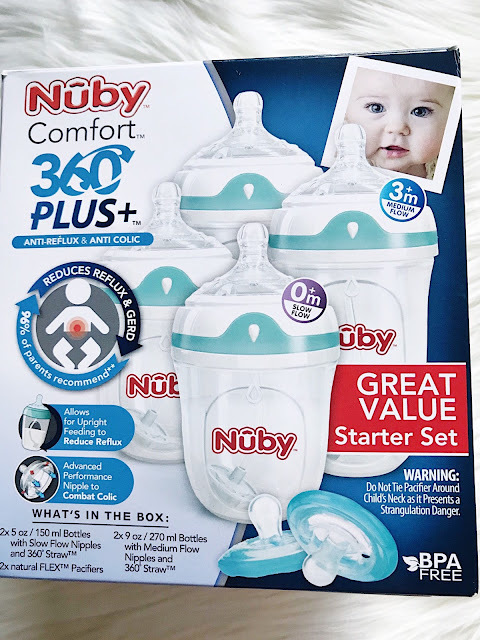 I will be writing an honest review about these specific Nuby prodcuts that were sent to us. Feeding time is always a difficult with our picky toddler. Anything that makes food more fun is our friend. 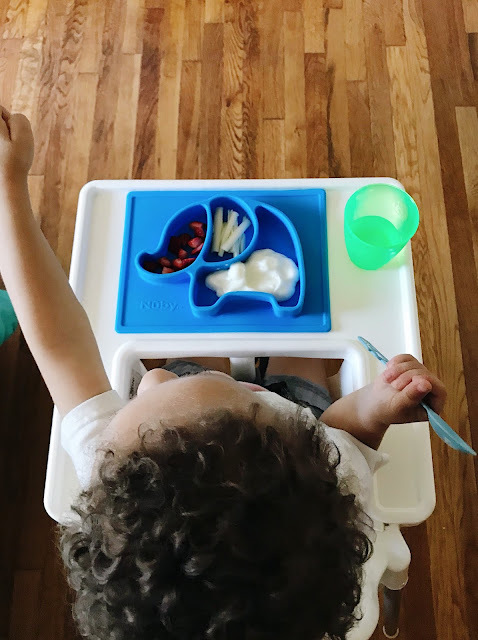 The Sure Grip Miracle Mat section plate-Elephant is our son's new favorite plate! I love the integrated section plate and how it sticks to our high chair. It also sticks to any flat surface. You can wipe it clean and it is dishwasher safe too. All wins in my book. Elephants are also one of our toddler's favorite animal. They are available to purchase at your local Walmart stores. Enjoying his vanilla yogurt, string cheese and strawberries. 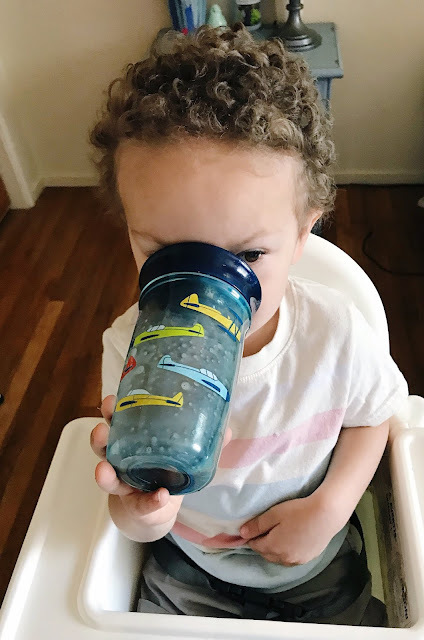 We also love our Nuby drinking cups. Our son loves his chocolate milk and to make sure he is getting enough vitamins and minerals we add Breakfast chocolate essentials powder to his milk. 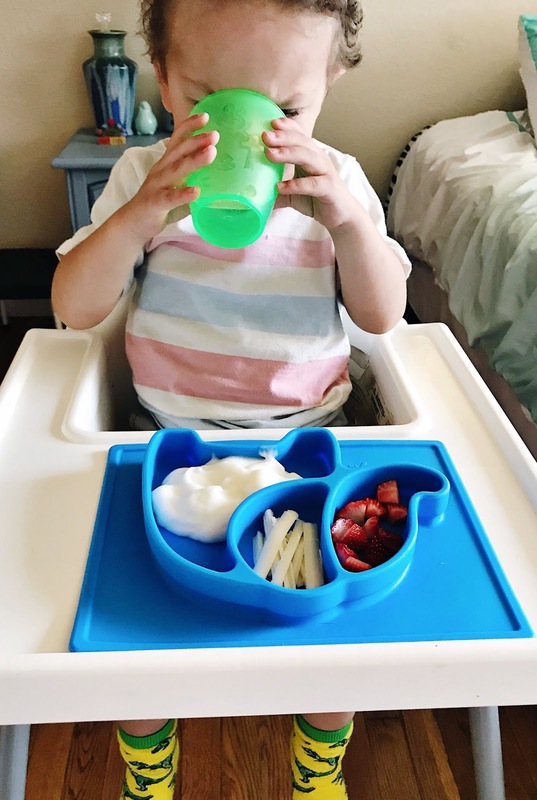 He loves fun drinking cups and I am always looking to try a new no-spill cup. He got so excited when he saw his new 360 Wonder Cup. He loves the cars and airplanes on his cups. The 360 Wonder Cup is recommend for 12 months plus since it's harder to learn to drink from. I love that it comes with a cover but it hasn't been completely spill proof. When the cup fell to the side on my couch it spilled milk on there. These are better when on the go or when he is drinking out of his high chair. 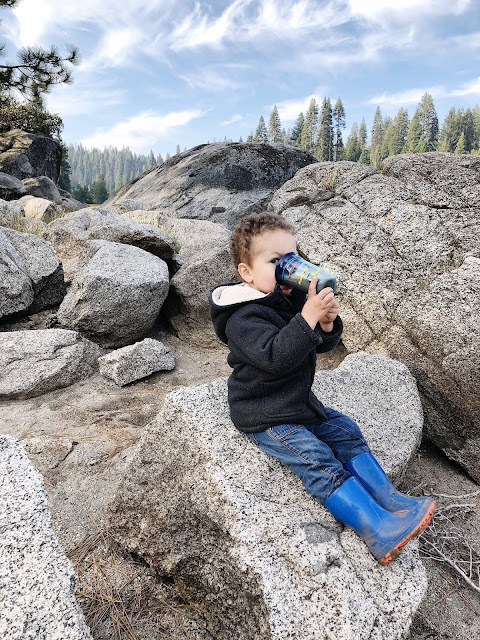 Our toddler loved his cup so much he took it camping with Daddy. 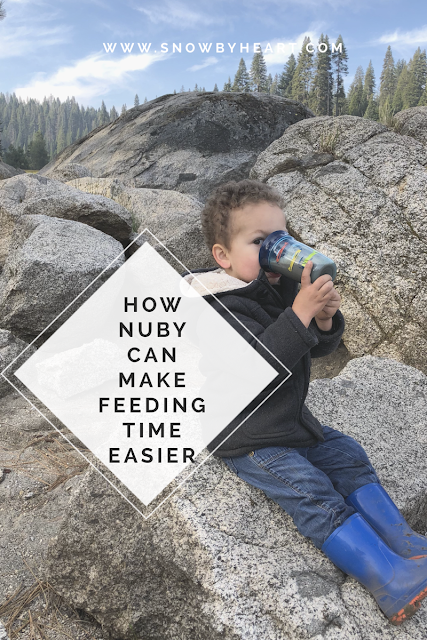 Our toddler as a baby was bottle fed and had terrible reflux and gases. Our second baby boy in due in a month and we are preparing just in case. I love that these combat colic too and they are easy to clean. We also love pacifiers and these natural flex pacifiers look amazing. I can't wait to try these out soon. Great quality products. I received these products for my review, but all my opinions are my own. Thank you Nuby!